Nearly five years ago, my life changed forever when I suffered from a blood clot in my leg and in my lung. I went from being an active runner, to needing an oxygen tank to breathe. I spent several days in the hospital – my life in the balance – while doctors tried to figure out what was wrong with me. Up until that time, I thought blood clots only happened to old people who were sick, or who weren’t able to move around very much. I was 29 years old, not 89. 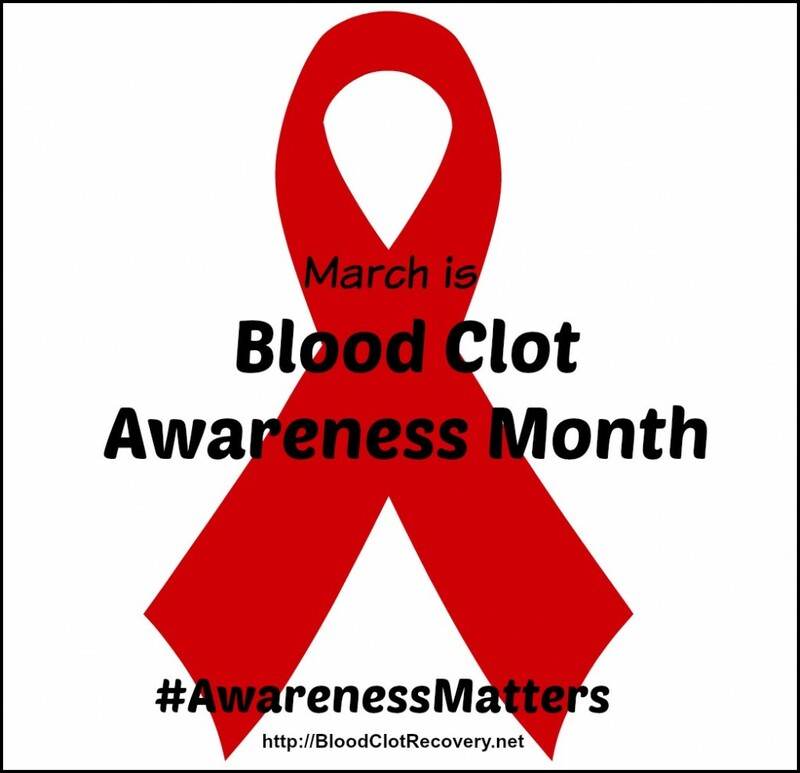 March – Blood Clot Awareness Month – serves as a prime opportunity to talk about blood clots. 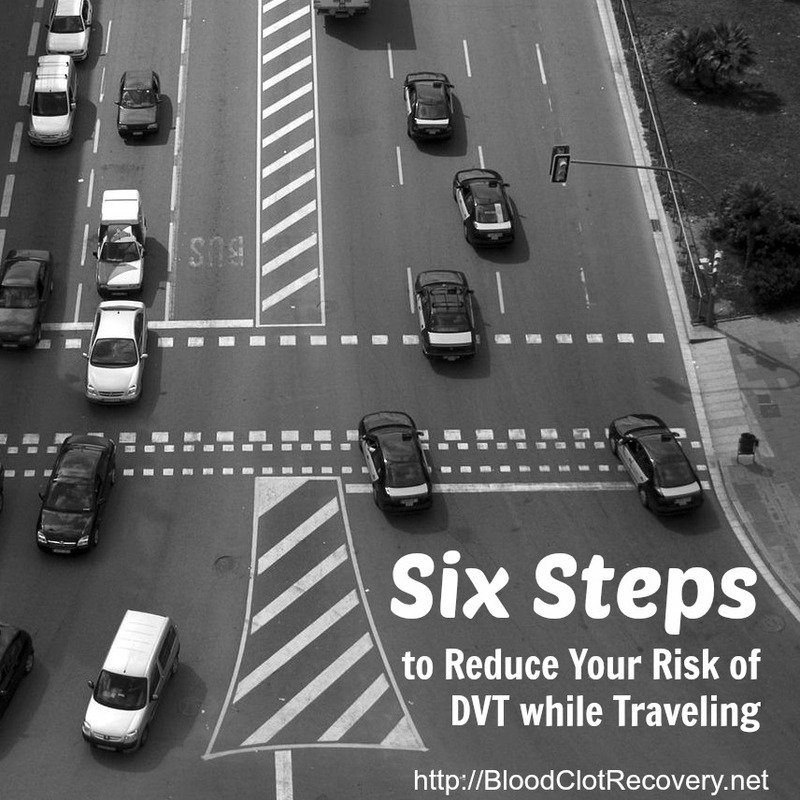 Each year, about 900,000 people a year are affected by blood clots in the U.S. alone. If a blood clot starts in your leg, like mine did – also known as deep vein thrombosis or DVT – and then travels to your lung – also known as a pulmonary embolism, or PE – it can kill you. About 100,000 people die every year due to a blood clot. t can also cause damage to your vital organs, like your heart and lungs. Blood clots – both in my leg and in my lung – were the most physically painful things I have ever experienced in my life. Quite frankly, it felt like I was dying – maybe because I was. The scary thing is, I didn’t even know that I was at risk for a blood clot, or that one could happen to me. 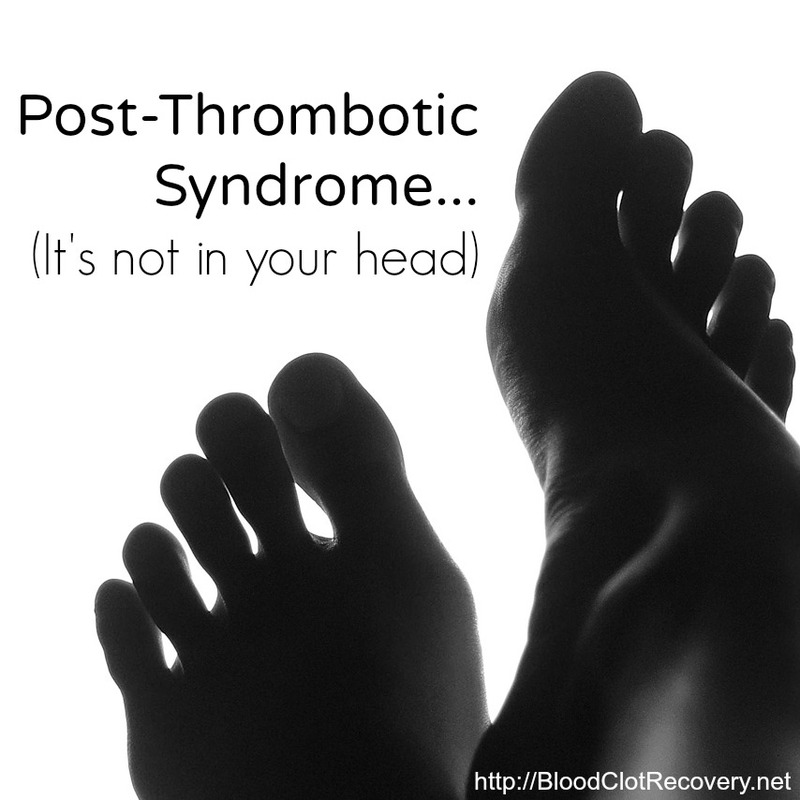 Many things can place you at risk for a blood clot. Some of the major risk factors are hospitalization or surgery, hormonal birth control, pregnancy, treatment of menopause symptoms with estrogen, traumatic injury to the bone or muscle, a family history of blood clots, and sitting for long periods or best rest, just to name a few. Mine were caused by estrogen-based birth control and also the clotting condition antiphospholipid syndrome, which I will have to treat for the rest of my life. 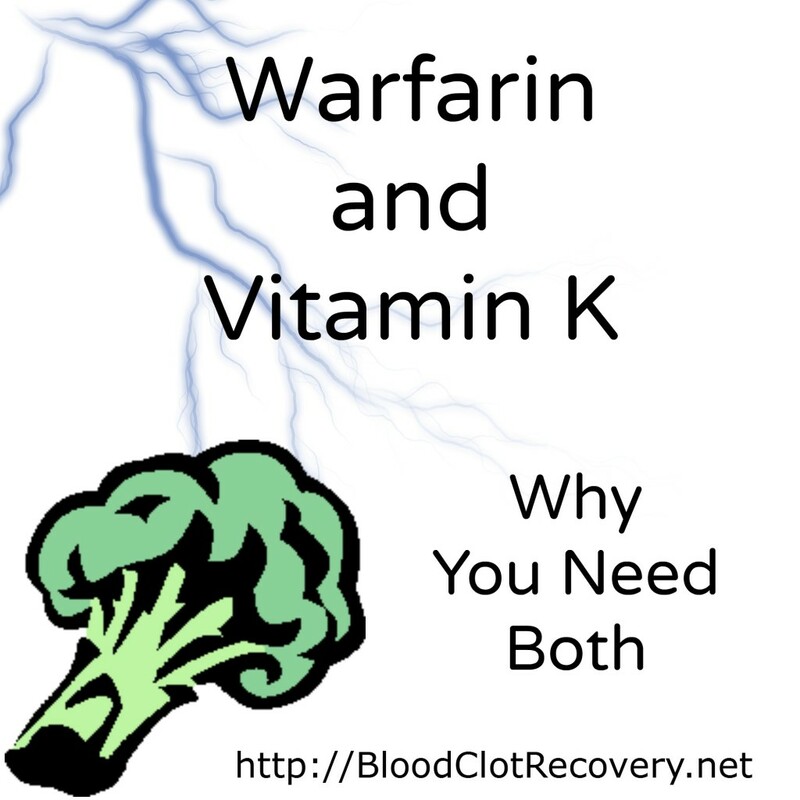 If you don’t know if you are at risk for a blood clot, find out right now. 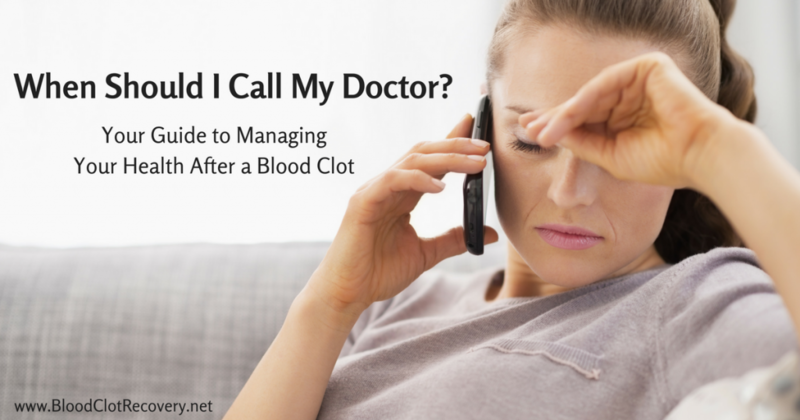 Speak with your doctor about your risk, and learn more about how you can prevent blood clots. 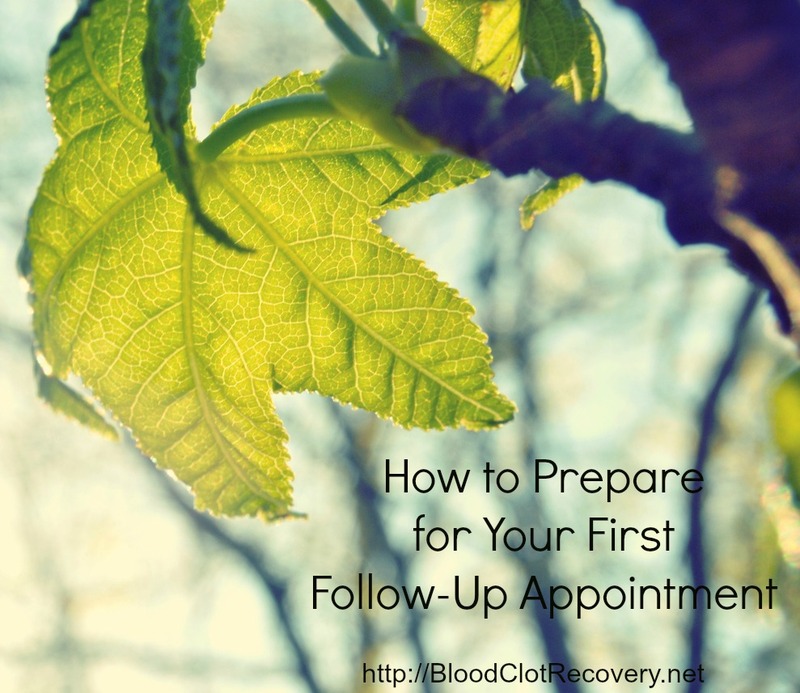 Blood clots are preventable, and even treatable if detected early. 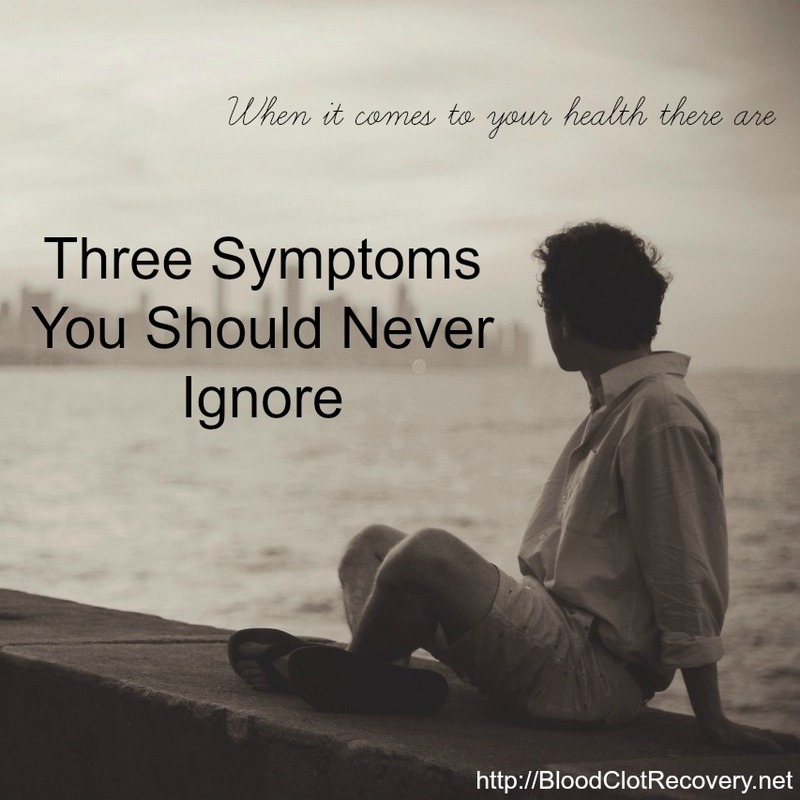 Just as important as knowing your risk for blood clots, is knowing the signs and symptoms of blood clots. I had no idea that the pain I felt in my leg – it felt like someone had the fleshy part behind my left knee in a vice that kept getting tighter – was a symptom of a blood clot. It hurt when I walked, the pain radiated down my leg to my foot. The pain did not go away with rest, elevation, ice, or even Tylenol. I did not know – and this is the scary part – that my inability to lay down flat, take deep breaths, or speak in full sentences was a sign of a life-threatening blood clot in my lung. Thank goodness, my primary care physician did, and he instructed me to the nearest Emergency Room without delay. I tried to live my life normally for two days before I went to the hospital, barely able to walk or breathe by that time. The admitting physician told me I would not have survived for a third day. 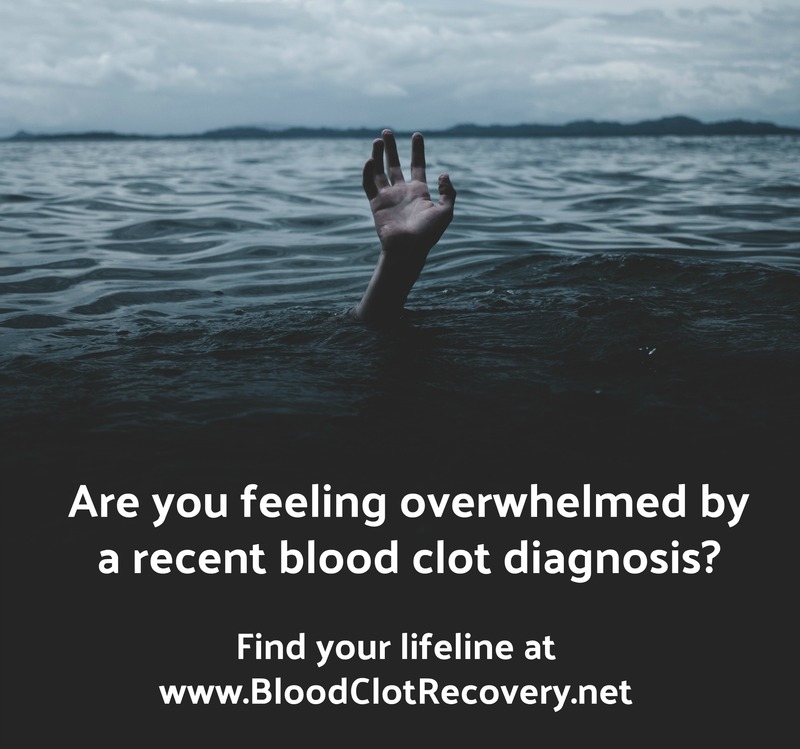 If you don’t know the signs and symptoms of blood clots, learn about them right now. I was in intensive care for several days as doctors worked to figure out why I was so sick. They worked to stabilize my heart, my lungs, my breathing and various levels and counts in my blood. I was discharged with a wheelchair and an oxygen tank, and I thought it was all over. What I did not know was that my journey had really only just begun. I spent a total of two years recovering from the physical damage that was done to my body, and nearly another year recovering from the emotional damage that was done to my mind. The emotional side of recovery is what I want to talk to you about this March. It’s the part that gets left out most often, if not entirely ignored in some cases. Sometimes, people don’t understand. Even people that we know and trust, like our family, our friends, maybe even our doctors. People ask me all the time, “How did you survive?” To be honest with you, I have spent years thinking about my answer to this question. First, I had to ponder, did I really survive? People survive physical things that push them to their limits every day – floods, fires, animal attacks, being lost in the wilderness, and car accidents, for example. I believe some people even survive illnesses and diseases. 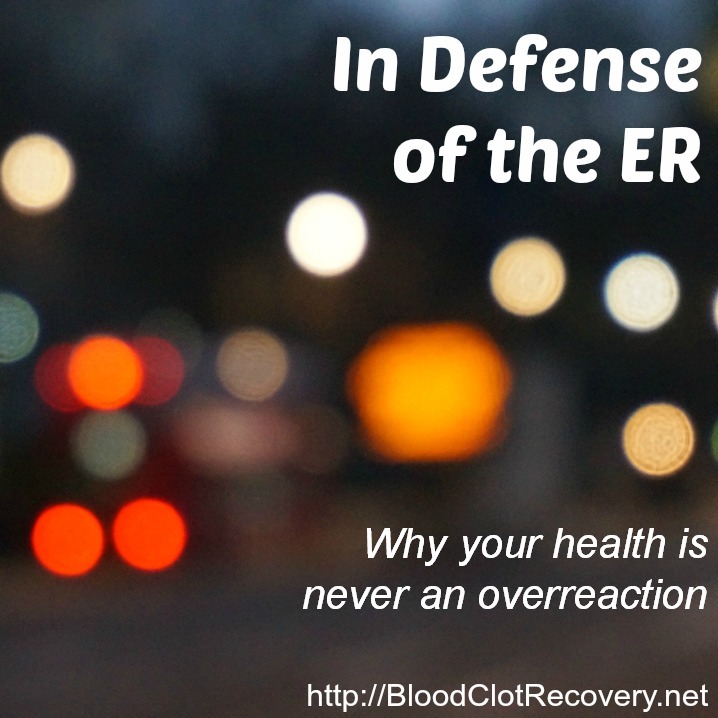 After thinking about these types of situations versus my own, though, I don’t think I actually survived my blood clot – not in the same way. Surviving my blood clot was completely out of my hands. It was in the hands of my doctors, and perhaps even more importantly, a higher power – for me, it’s God – who wanted me to still be on this Earth. You see, I didn’t actually understand I might be dying, so in some respects, I couldn’t make the conscious decision to survive my ordeal. What I did was overcome. After my pulmonary embolism, life became brutally unfair, and I dealt with a lot more than some people will ever have to deal with in their entire life. I lost a lot, nearly everything, and I experienced grief unlike any I had ever felt before. I lost my friends, my job, my medical insurance, my self-esteem, and my confidence – to name just a few things. I was in more debt than I could have ever imagined, more sick than I knew was even possible, and the blows just kept coming one after the other. I dealt with them one by one, battle by battle, fight by fight. Everything was a fight, it seemed. I tried my hardest to do what I could to improve my situation. Sometimes it did improve, sometimes it didn’t. Sometimes it got worse. Sometimes, I found, I had to accept the help of others to be able to help myself. What I did not do was give up, not completely. Now, this is not to say I didn’t throw in the towel on certain days, weeks, or even months, and swear I was done with it all. I did that. I did that a lot during my recovery. Yet, somehow, someway, I never gave up completely. I always found something to believe in. Even if that something was the thought that it couldn’t possibly get any worse. Then, when it did get worse, I thought, “It can’t get any worse than it is right now. Eventually it has to get better.” My dad told me the same thing, and I clung to that belief. He told me, “Someday, Sara, it all has to get better.” A few important things kept me going when I gave up on myself – my family, my dogs, music, and my writing. Without them, I would not be where I am today. Through all the loss and heartache and heartbreak, I always told myself there was something better on the horizon. The way I looked at it, if there wasn’t, then why was I still here? Back then – during those first weeks, months and years of recovery – you could have never convinced me that I would see better days. Yet, deep inside my heart, I believed there were better days ahead, even if it seemed like a child’s fairly tale at the time. That tiny, tiny ember never stopped burning, and I never stopped believing. I think that’s called hope. Hope for a better tomorrow, for less pain, for health, for wellness, for love, for peace, for forgiveness. Whatever it is that you need, there is hope that it will one day come to you. I am a different person than I was before my blood clot. I don’t think someone like me – or you – goes through a life-threatening illness and comes out the same on the other side. I also don’t think a person can understand that unless they have been through it themselves. 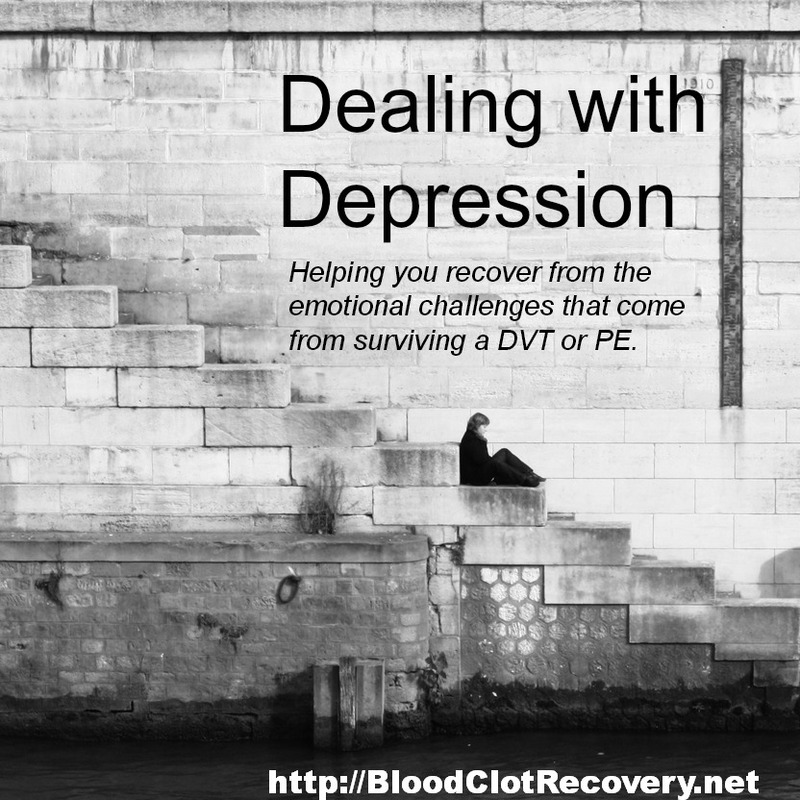 This is the part of Blood Clot Awareness that is important for me to share: Surviving, overcoming or managing a blood clot is life-changing. The second this that is important for me to share with you is: There is hope. There is always hope. Even when you hurt more than you ever thought possible, cry more than you ever thought you would, have reached the end of your rope, lost everything, are alone, or have a broken heart. Even when it’s all over and you have nowhere to turn – there is hope. There is always hope. Find something – no matter how small that something is – to cling on to, and cling to it with all of the strength you have left. Whether it be God, your spouse, your parents, your children, your pet, yourself, your garden, your journal, your favorite song, your favorite book, your home, your memories, your dreams – hold on to it and don’t let go. Don’t ever let go of hope. If you can’t find something to cling to, here it is: There is hope. Reader Writes In: What is the hope that you hold on to? 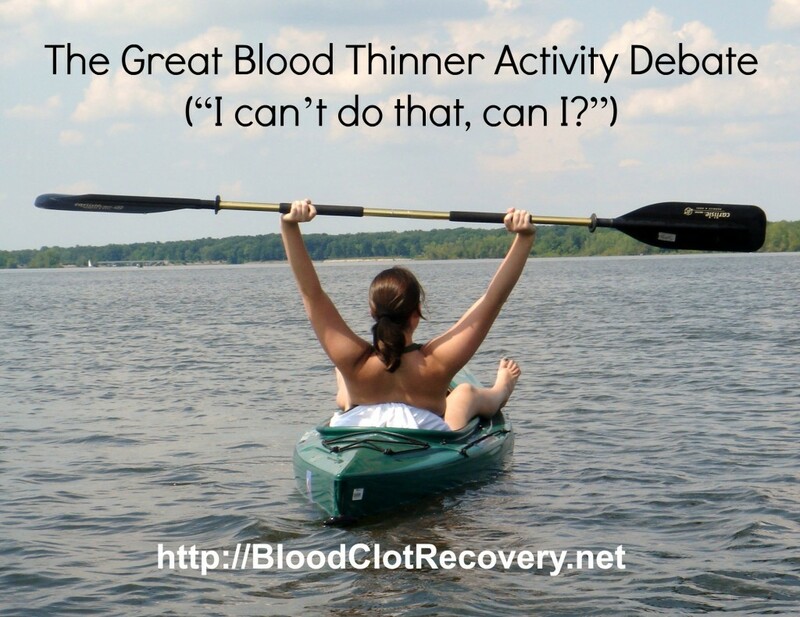 What is one thing you want to share during Blood Clot Awareness Month? 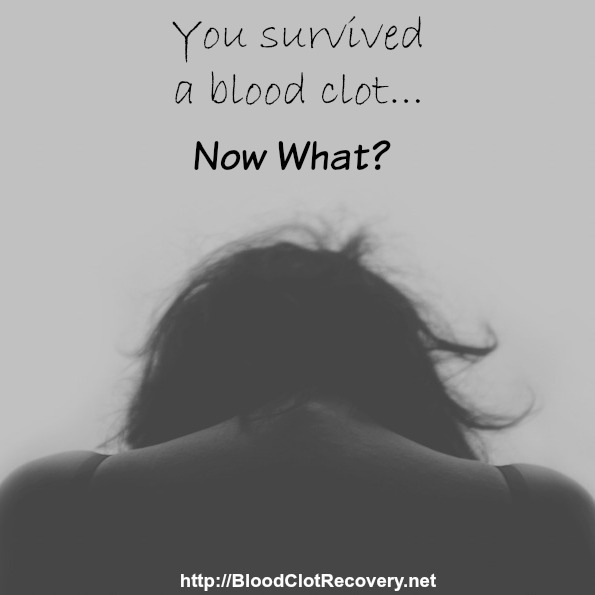 How did you survive or overcome a blood clot? March is Blood Clot Awareness Month (BCAM). 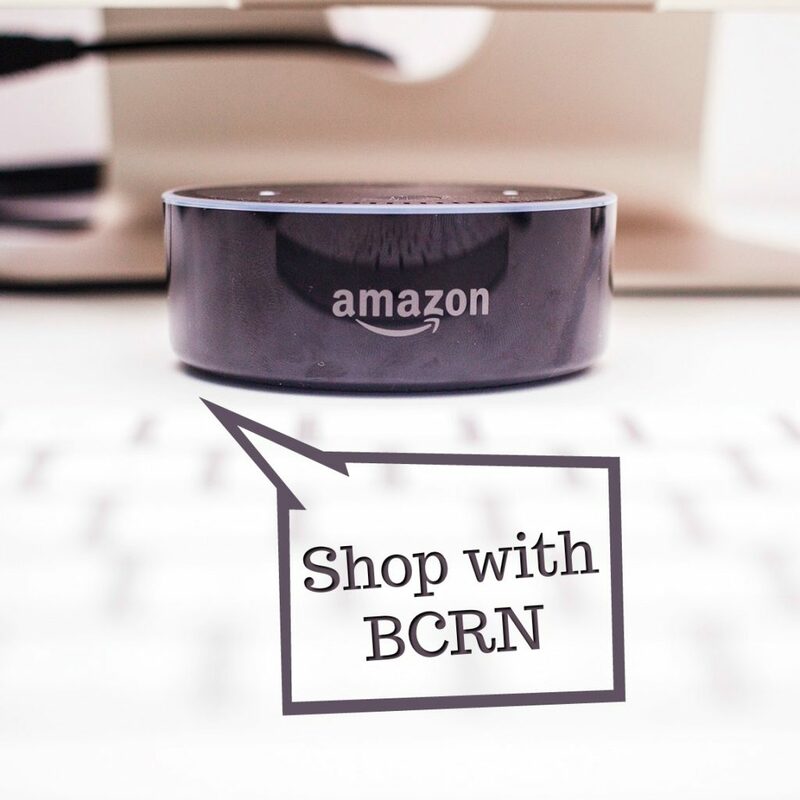 Get the information that everyone needs to know. I had always been athletic and active. 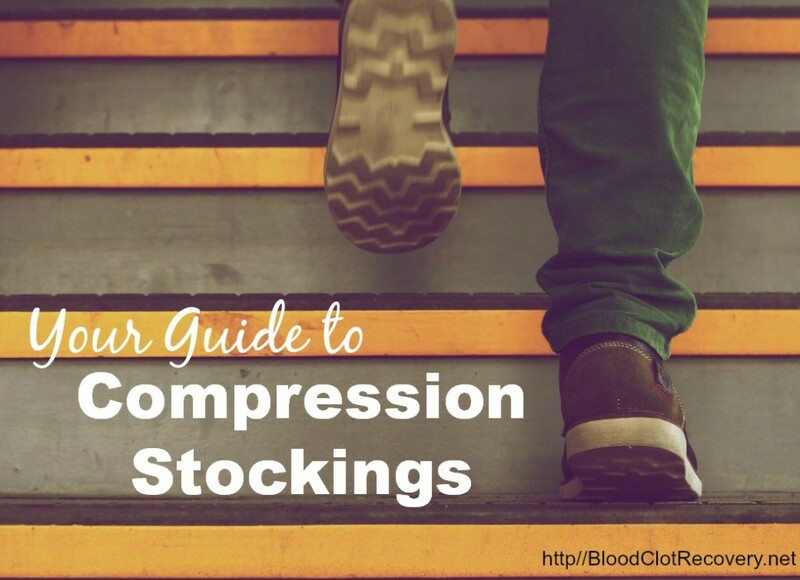 I noticed my DVT when I felt the worst cramp I had ever had in my calf that would not resolve with stretching. That is a clue right there that you need to go to the emergency room immediately. I went as soon as I realized the ‘cramp’ would not go away. I then experienced the same thing about a year later after the doctor removed me from coumadin, which resulted in a PE in both lungs. I have Factor IV Leiden, an inherited blood clotting disorder. I am now 74 and 4 years in stable condition. I read research about coumadin,( rat poison,) and other blood thinners, and realized that nattokinese thins the blood better than coumadin. Most allopathic doctors know nothing that thins the blood like pharmaceuticals. If they don’t know about it, it doesn’t exist.) I had to sign a release with my doctor when I refused to continue with the pharmaceutical blood thinners. (My functional medicine doctors believe that nattokinese is the way to go.) I bleed with a cut on Nattokinese (fermented soy), much better than I did with coumadin. I feel my blood is a great consistency. I make sure I take natto twice a day and will continue with that for the rest of my life. I realize that I need to drink a lot of water that also helps thin the blood. I have to do a chart to make and keep track of how much water I am drinking. Good luck everyone. Do a little research about how the pharmaceutical companies began with Carnegie and Rockefeller. Thank heavens that someone is taking that too. I’m Factor V and Protein S deficient. I take Nat as well. I’m very active and haven’t clotted in 3 years 10 months. Good for you for posting this. Thanks for posting your age. I’m 49. Gives me hope. Thank heavens for posts like yours that remind us to be gentle and that there is a whole emotional, psychological journey as well. 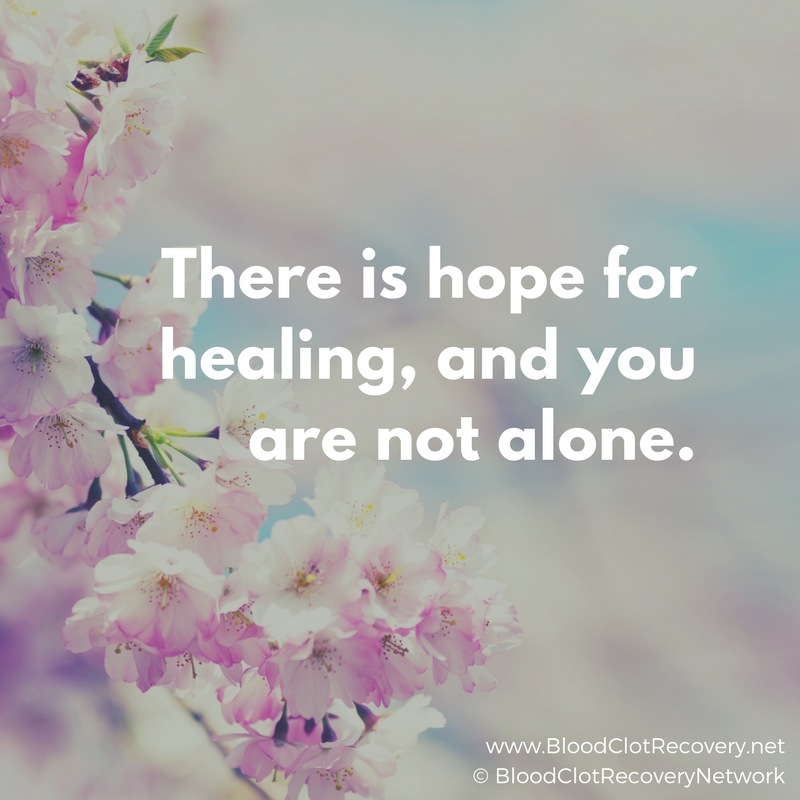 Bravo for you and sharing your recovery, so that the rest of us find it easier and less isolating. Excellent post Sara and thank you for sharing it. 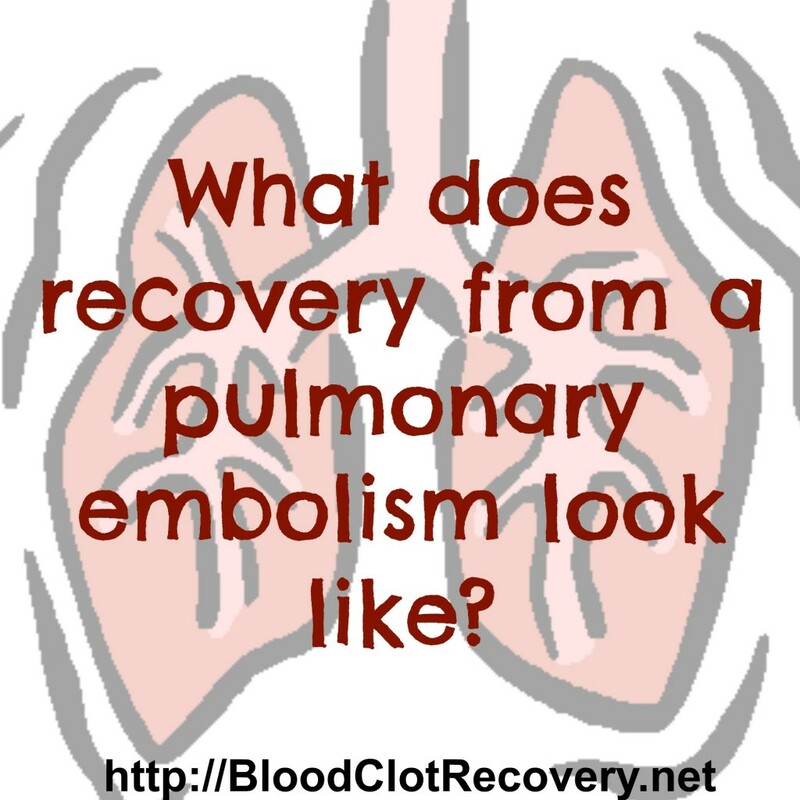 April 2012 was when I had my severe DVT and bilateral pulmonary embolism. I spent nearly three weeks in ICU and then another 3 weeks in rehabilitation. The first 72 hours in ICU was touch and go for me. I thank the good LORD ever day for giving me a chance to see the next day ~ It is a blog like yours and the many posts that you blog for us and keep us aware that is important. Thank you for allowing us to be apart of your world. I can 100% relate to this as the similarities are so stark. I also waited a few days before going to the hospital (no thanks to a misdiagnosis), and also would have died if I didn’t make it through the night. I also agree it’s the worst pain I’ve ever experienced in my life (my frames of reference are a major heart surgery, and major flares from Lupus, Sjögren’s, and more. Haven’t given birth before though…so I’m still curious about that one ;)). I also totally know what it feels like to be told ‘no more contact sports’, and total lifestyle changes. It’s really comforting to read your story as there’s no one else I know who has experienced a severe PE/multiple DVT episode. Part of my left lung is scarred and permanently damaged, and more than a decade later I can still feel the area when I take a deep breath. I think I should write more about APS as well, as there is so little information out there 🙂 Thanks for the inspiration! God bless you Sara for this website it has been a lifeline for me since suffering an unprovoked saddle PE which nearly took my life in November 2014. I have inherited this miserable condition from both parents my dear dad actually died from it. This website is so supportive and informative and encouraging. Right now I am going thew another episode of depression feel so low and get so weary of the daily chest pain I suffer due to the damage the clot has done to my lungs. Coming onto this website always helps me so once again thank you Sara. Big hugs Deb England. Thank you so much Sara for your blog of hope because this has definitely been the most difficult time in my life! I’m just under 2 weeks of being diagnosed with my PE’s, what scares me more is the fact that I really didn’t have many symptoms of the clot in my calf. I can’t walk on it which probably is one reason why, the only thing that I noticed was that it felt like it was sore after a hard run. Recently I fear getting another clot so my anxiety is through the roof, my right knee feels numb and has sharp pains at times but not often. Not sure if this is from the calf clot. Again thanks to Sara for starting this website and giving us all hope.